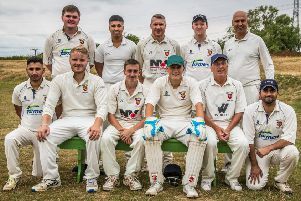 Ali Waqas showed plenty of resolve to guide Doncaster Town to an impressive two wicket triumph at ECB Yorkshire South Premier League high flyers Sheffield Collegiate. Pakistan A international Waqas, who has scored over 700 runs for Doncaster this season, held the innings together as Town successfully chased down 181 at Abbeydale with ten balls to spare. Waqas went in at 21-1 and displayed plenty of determination and concentration to finish 60 not out from 120 balls. The defeat put a serious dent in second-placed Collegiate’s title hopes, leaving them 28 points behind leaders Wakefield Thornes with games starting to run out. Doncaster had earlier bowled and fielded well to restrict the hosts, who were without star man Billy Root, to 180 all out. Curtis Free claimed 3-30, Duncan Heath took 3-46 and Jack Shutt chipped in with 2-53. James Stuart (36) helped get Town’s reply off to a decent start but, as the innings collapsed from 94-2 to 158-8, it needed a composed knock from Waqas to see the visitors home to their eighth league win of the season. 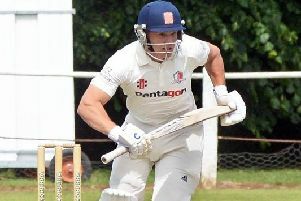 Luke Townsend’s side, who are fourth in the table, travel to relegation-threatened Whitley Hall this weekend.